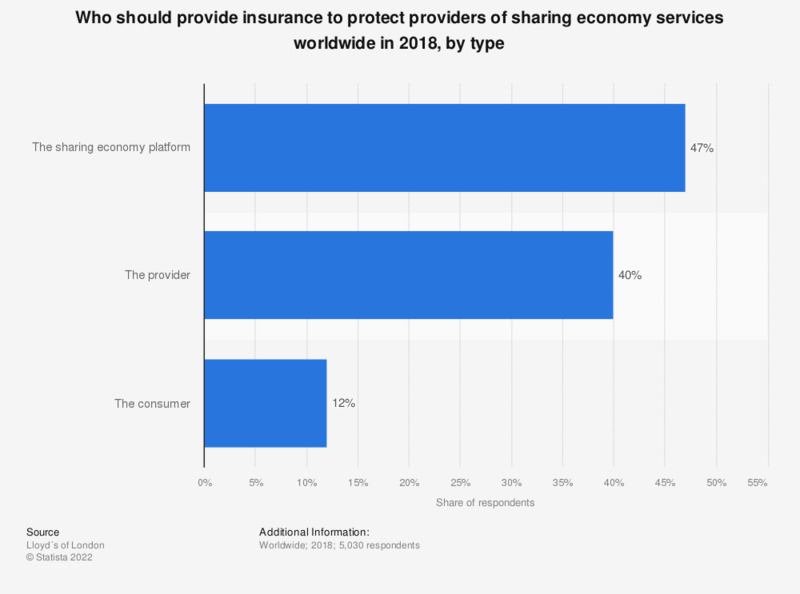 This statistic displays who should provide insurance coverage to protect providers of sharing economy services worldwide in 2018. During the survey, 47 percent of respondents believed the sharing economy platform should provide insurance to protect providers. Date and methodology of survey, and age of respondents not specified by the source.